Get ready for another exciting summer filled with all new camp options, one-of-a-kind experiences and hands-on adventures! Campers will enjoy a wide range of exciting camp topics for every grade level, like Colossal Creatures, Jaws and Paws, Monkey Business, Fantastic Beasts and Vet Camp. Camp sessions can include special guests, personalized visits to the animal exhibits and the zoo’s rides and attractions. Our small group sizes ensure each camper gets an enriching experience. Plus, our extended hours and convenient car line drop off service makes Safari Day Camp a perfect choice for kids and parents! Campers can attend camp for the grade they have completed OR the grade they will be entering in the fall. All programs are week long (2 weeks for grades 4-6); parents should provide a lunch and snack for their child each day. See you this summer! These animals are huge! Learn all about the planet’s past and present-day giants. From dinosaurs to blue whales, we will look at the giants that have called this earth home. Ready or not here we come! See how animals hide right in plain sight. Improve your own hide and seek game observing natures best camouflage! Amazing water worlds await you! Meet the zoo’s creatures that are right at home in the water. Splash your way to learning all about what is in the water! Find your cape! Meet the Zoo’s most incredible animals. Team up with our planets fastest and strongest creatures! Investigate the high flyers, speed racers and strongest animals on Earth in this camp that focuses on animals that are in a league of their own! Summer heat got you down? Hang out with the amazing cold-blooded creatures of the herpaquarium! These animals have no problem when the temperatures soar. Learn all the cool adaptations that beat the heat! Let’s safari around the world at the zoo! Pack your bags for an exciting trip to the far reaches of the world to discover the animals and cultures that call those places home. Chomp, crunch and nibble your way with the Zoo’s toothy and stealthy animals. Learn how animals depend on these amazing structures to survive. Long teeth and sharp claws are on the prowl! See how you measure up! Let’s dive deep into the world of water! There are so many creatures living under the surface. Some so small you need a microscope to see! Explore the magical world of our rivers and oceans! Let the zoo animals spark your imagination with everyone’s favorite bricks! Build a world of wonder block by block! All things that hop, jump and crawl their way through the world. Slow down with the turtles or leap up with the lizards. Finally, it is time to monkey around! Make mischief with the monkeys exploring their brand-new exhibit. Learn how to tell a good joke while you are at it! Bring your drawing, painting and sculpting skills to life at the zoo! Use the world’s best models for inspiration for your creative side! It is easy to find beauty in nature! Lights, camera, action! Learn how to take great photographs of the amazing animals at the Zoo! 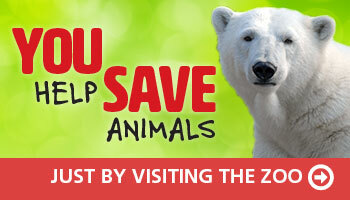 Create a zoovenier book to show off your pictures from your week at the zoo! Grab your pack and join us for an epic adventure as we explore the Zoo through a week of field investigations! All the dragons and unicorns from your favorite movies and books come to life. This magical journey is sure to catch your imagination. We’ve expanded some of our favorite programs to give your camper an even cooler summer experience, and to fit in all the fun, we’ve doubled the time with our keepers, animal care staff and professional partners. Campers must be at least nine-years old to enroll. Ever want to be a V.I.P? Campers will get to go behind-the-scenes to areas not available to general visitors! This amazing opportunity gives you a sneak-peek into what it takes to care for these amazing animals. Learn what it takes to create our Zoo exhibits and design one of your own! What do Zoo veterinarians do each day? How do you study to become a veterinarian? Discover the ins and outs of animal health and learn how our Zoo doctors and keepers take care of our animals every day! This camp includes exclusive tours of the Animal Hospital, Commissary, and Black-Footed Ferret Conservation Center along with visits.